Diwali is a time for Indians to celebrate and so this year we decided to bring in a world renowned artist, Jeffrey Iqbal along with Jomy George to perform at the Palm Beach State Eissey Campus Theatre. The goal of IndiaFEST was to educate the non-Indian and Indian communities of the rich heritage, culture, and traditions of India. We want to portray India’s cultural diversity through music, dance, attire and cuisine while still sending a message of unity through diversity. Please visit the IndiaFest website for latest and up to date event updates on IndiaFest. 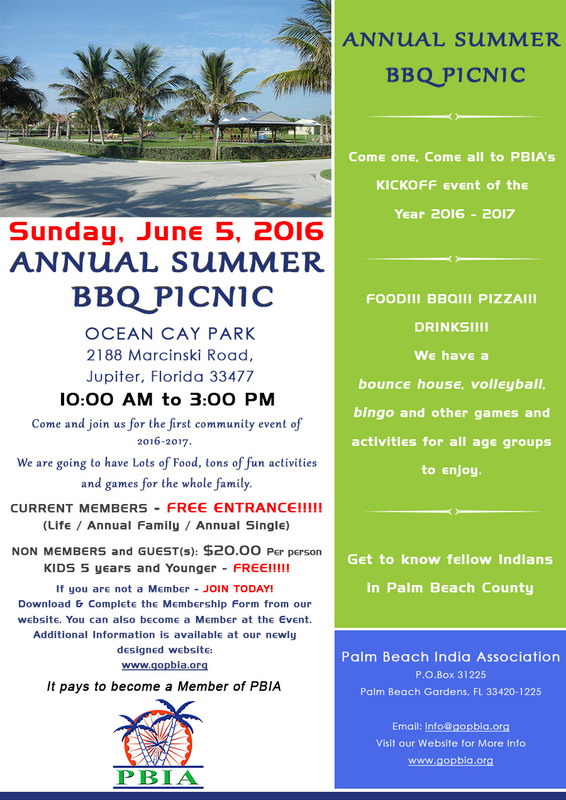 Bring your entire family and friends to the Annual Summer BBQ Picnic where you will meet your fellow Indians from Palm Beach County. There will be games and fun activities for all age groups along with Food, BBQ, Beverages and Refreshments. 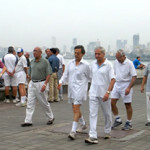 Win exciting prizes at the picnic as we get the ball rolling for a year full of interesting events.